OTTAWA - Canada's electronic spy agency says leaks by former U.S. intelligence contractor Edward Snowden have "diminished the advantage" it enjoyed over terrorists and other targets, both in the short term and — of more concern — well into the future. In newly released briefing notes, the Communications Security Establishment says Snowden's disclosures about CSE's intelligence capabilities and those of its allies "have a cumulative detrimental effect" on its operations. The Ottawa-based CSE monitors foreign communications of intelligence interest to Canada, and exchanges a large amount of information with partner agencies in the United States, Britain, Australia and New Zealand. The notes, obtained by The Canadian Press under the Access to Information Act, were among the briefing materials prepared for CSE chief Greta Bossenmaier's March 25 appearance before the House of Commons committee on national defence. 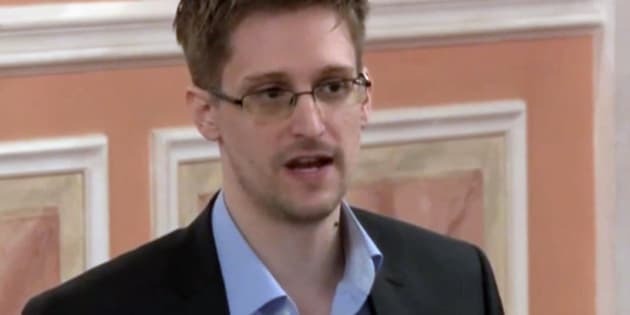 Documents Snowden handed to the media revealed the U.S. National Security Agency — the CSE's American counterpart — had quietly obtained access to a huge volume of emails, chat logs and other information from major Internet companies, as well as massive amounts of data about telephone calls. The documents also suggest Canada helped the United States and Britain spy on participants at a London G20 summit and that the CSE devised a sophisticated spy operation against Brazil's ministry of mines and energy. Privacy advocates and civil libertarians have applauded Snowden, who fled the U.S. for safe haven in Russia, for revealing the vast reach and advanced techniques of the NSA and its allies. "Taxpayers shouldn't have to rely on a courageous whistleblower willing to risk everything in order to get the truth out there," said David Christopher, a spokesman for OpenMedia.ca, which fights for citizens' online rights. The CSE insists it scrupulously adheres to Canadian privacy law and characterizes the Snowden disclosures as undermining the fight against terrorism and other security threats. "CSE has observed our foreign targets discussing changes to their communications security as a result of the disclosures," the briefing notes say. "Our success is hard won and is dependent on our targets being unaware of the methods and technologies that we use against them." While the CSE's worry is valid, it is very difficult to come up with evidence that proves such damage to spy operations, said Wesley Wark, an intelligence expert who teaches at the University of Ottawa. Wark said he doubts the leaks have enabled criminals and spies to suddenly hide their communications from the NSA and its partners. "I think that's a leap into the dark, and very unlikely as an assertion." The CSE notes say the disclosures "have diminished the advantage we have had, both in the short term but more worryingly in the long term." The notion strikes Wark as odd, given the unpredictable and kinetic nature of electronic intelligence-gathering. "Everybody knows this is a fast-changing world." The notes advised Bossenmaier, if pressed to discuss the disclosures, to say CSE does "not comment on the operations, methods targets, capabilities of Canada or our allies." CSE spokesman Ryan Foreman declined to provide specific examples of damage, but said the continuing publication of sensitive material was "rendering techniques and methods less effective." "Ultimately, these disclosures are harming our ability to help keep Canadians safe from terrorist and other threats." Christopher said the CSE is "not offering anything of substance to back up that assertion."